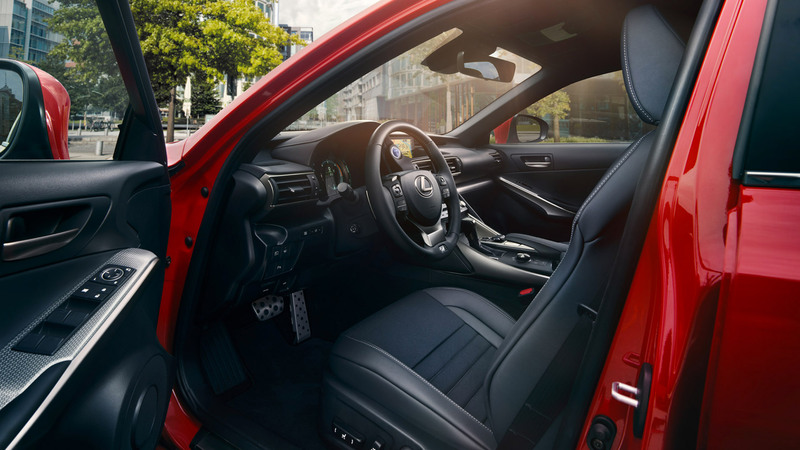 Lexus designers, engineers and master craftspeople have invested exceptional efforts in creating the all-new Lexus UX crossover, endowing the car with a rich vein of imaginative technology and beautiful styling details. Here we focus on seven stand-out features that exemplify their work. The All New Lexus UX SUV juxtaposes exhilaratingly smooth performance with next-generation efficiency. Journeys are powered by a fourth generation Self-Charging Hybrid, which switches seamlessly between petrol and electric and can travel up to 74mph in electric mode, and has a fuel consumption of up to 68.9 mpg. The vehicle charges itself as you drive, so there’s no plugging in required. High thermal efficiency is also delivered by the engine with C02 levels from 94g/km*. This translates to 22%* Benefit In Kind tax for the 2019/20 financial year meaning company car drivers save up to £5,953 in tax compared to competitor models. The All New UX is available with leather seat upholstery inspired by sashiko, a traditional Japanese stitching technique used to apply protecting quilting to judo and kendo uniforms. As well as referencing the shape of the vehicle’s signature grille, the stitching is aligned with the mathematical curves of the seat perforations and ventilation outlets. The result is a sophisticated fusion of art and functionality. The All New UX is equipped as standard with the advanced second-generation Lexus Safety System+. A variety of features help keep everyone in the car safe – from helping you stay in your lane to detecting hazards and preventing collisions on the road. The Panoramic View Monitor combines images from four video cameras to give an amazing 360° birds-eye view** of the car and its surroundings. This is displayed through a 10.3” screen, making it easier to park and manouvere through tight spaces. Each ultra-slim air vent on the UX features a single knob to control both the direction and intensity of the airflow. On Takumi grade models, this vent control houses a wireless LED light source powered by electrical induction. This not only makes the control visible in the dark but its three-dimensional sequence of reflections creates a sense of depth that belies its relatively small size. In order to complement the luxurious ambience inside the cabin, operation of the power windows is carefully controlled to reduce noise and juddering. All the car’s opening windows are also equipped with an anti-jam and entanglement function, which prevents items such as clothing from becoming trapped. As well as having an automatic rain sensor, the windscreen wipers are designed to gradually slow down so as not to impair driver concentration and reduce cabin noise. True to the Lexus spirit of omotenashi – the best traditions of Japanese hospitality and service – the wipers automatically pause when a door is opened, avoiding the risk of people being splashed as they enter or exit the vehicle. * Total BIK tax payable over 3 years based on 40% tax payer. BIK tax cost over 3 years for the Lexus US 250h Premium Pack is £9,318 compared to £14,301 for Mercedes GLA 200d Sport Premium Diesel, £14,039 for Jaguar E-Pace 2.0d Auto, £13,624 for Volvo XC30 2.0 D3 Momentum Pro Geartronic, £12,591 for BMW X1 sDrive 18d Step Auto and £13,206 for Audi A3 35 TDI Sport S Tronic. ** 360° monitor standard on F SPORT with Takumi Pack and Takumi grades.